February 1, the day after millions of fans return to their normal lives after spending 24 hours glued to their televisions and computer screens. With the outline of blue and yellow scrolling bars of Sky Sports etched in their peripheral vision, most supporters ended January with an underwhelming feeling of disappointment. Many of the major transfer speculation turned out to be false, leaving many feeling a bit empty come Wednesday morning. There were no blockbuster deadline day signings; the biggest signings came from Queens Park Rangers who spent a combined £9 million on strikers Djibril Cisse and Bobby Zamora. Everton was surprisingly active during the transfer window, signing highly coveted Rangers striker Nikica Jelavic and getting Steven Pienaar to return to the Toffees on a loan deal from Tottenham. Bolton used their transfer fee from selling Gary Cahill to Chelsea to secure the services of American Tim Ream and Marvin Sordell from Watford. Chelsea was the most active of the top 5 clubs in the January window, signing Bolton’s Gary Cahill and Genk’s Kevin De Bruyne. 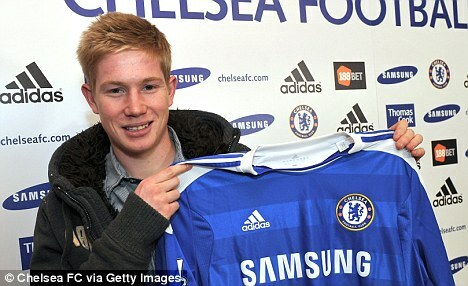 After failing to sign De Bruyne during the summer transfer window, Chelsea finally got their man, but promptly loaned him back to Genk to finish out the season. Manchester United swiped Manchester City’s Swiss U-17 captain Frederic Veseli, while City brought in Chilean midfielder David Pizarro from Roma. The club also cut ties with “the English Taraabt” Ravel Morrison, who left Old Trafford for West Ham for a fee of £600,000. Liverpool also only made a single signing with their move for Wrexham and Wales U-19 keeper Danny Ward. Tottenham made several moves during the transfer window closing, loaning out Verdan Corluka (Bayer Leverkusen), Steven Pienaar (Everton), and Sebastien Bassong (Wolves). Spurs also sold out of favor Russian striker Roman Pavluchenko to Lokomotiv Moscow for a reported fee of €11 million. 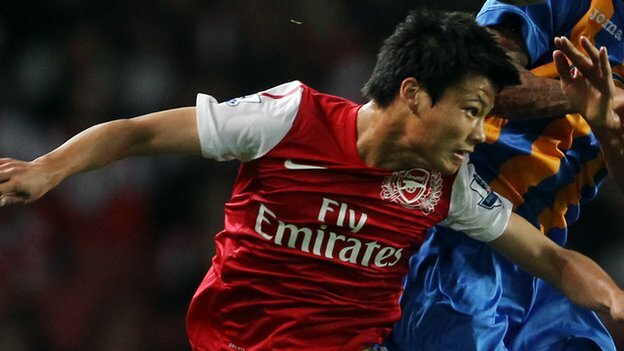 Arsenal was shockingly inactive during the deadline day, with their only deal coming from loaning out their winger Ryo Miyaichi to Bolton. For a team lacking serious depth in midfield and a desperate need for full backs, Arsenal are also rumored to have Andre Arshavin’s exit looming on the horizon. After several public statements from the club regarding the availability of funds, Arsene Wenger may be forced to spend in the upcoming summer window if he wants to keep Robin Van Persie, after Barcelona expressed interest in the Dutch striker. Martin O’Neill has continued Sunderland’s transition under his guidance by signing Greek center back Sotoris Krygiakos and bringing in Manchester City’s Wayne Bridge on loan. These two signings should bolster the Black Cats defense with little risk involved. Their Tyneside rivals Newcastle were inactive except for their signing of Papisse Cisse from Freiberg. Leeds brought in a pair of players with midfielder Jonny Howson and defender Ryan Bennett coming in from Leeds and Peterborough respectively. Swansea scooped up former Manchester City academy player Curtis Obeng in their lone deadline day move. Blackburn made some waves by signing Marcus Olsson (Halmstads) and Bradley Orr (QPR), while letting Keith Andrews go to West Brom on a free transfer. Fulham managed to snap up Australian teenager Ryan Williams for £6 million, but the Cottagers were not finished yet and they also signed Russian striker Pavel Pogrebnyak for a fee of £3 million. Aston Villa and Stoke City were both relatively inactive at the deadline, with the only permanent move between the two clubs seeing Shane Lowry shipped off to Millwall from Birmingham. Wigan’s lone import brought Jean Beausejour to the Latics from Portsmouth. West Brom also managed to bring in Liam Ridgewell on a loan deal from Birmingham to join their signing of Keith Andrews. To be honest with you I can’t believe I wrote all that. 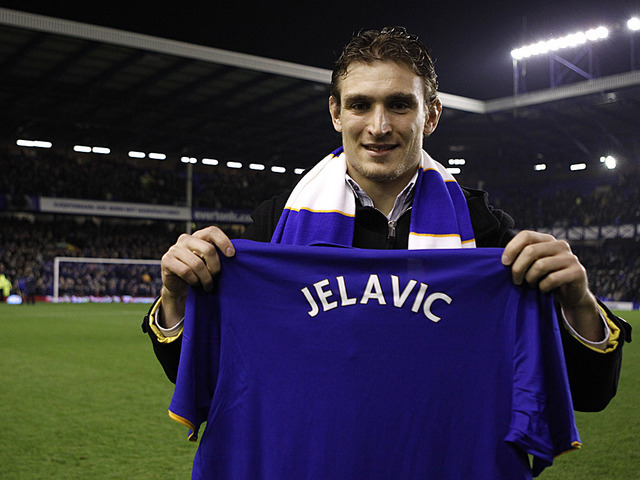 This transfer window has been one of the more disappointing in recent memory, with no major signings taken place. The lack of transfers to big English clubs during the January window could set the stage for some blockbuster signings in the summer. Will Hazard, Neymar, Hamsik, Cavani, or Ganso make their way to the Premier League? Will Carlos Tevez find himself a permanent home? Is Arsene Wenger allergic to fax machines? I guess we will have to wait for the summer to find out. Since this article is sort of boring, entertain yourself with this awesome mini documentary about the smallest league in the world.